A CRUISER OF THE SKIESAlthough slower than the airplane and more vulnerable, the naval dirigible was an important weapon against the submarine because of its ability to stay aloft for long periods. 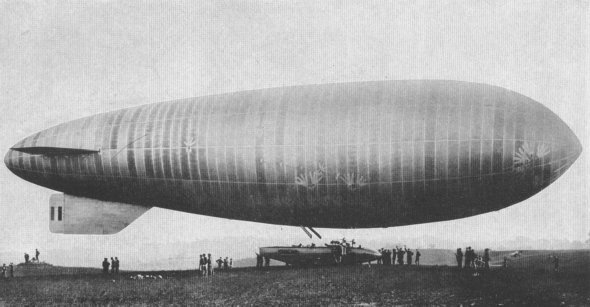 Dirigibles were used for convoy and patrol duty. "STAND BY"Trying to get a line on a German submarine. 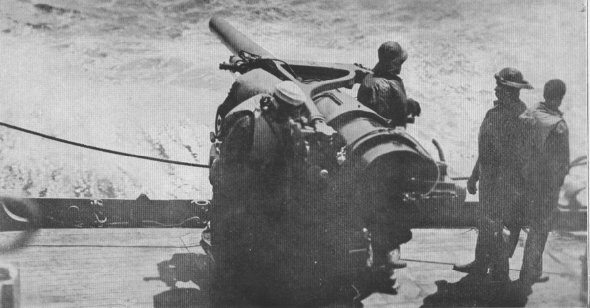 The look-out on this destroyer has called a warning and the gun crew have hopped to thir stations, anxious to catch sight of the telltale periscope amid the rolling waves.